Former FBI agent Peter Strzok has received an outpouring of support on a crowdfunding page in the wake of his firing, while his chief critic, President Donald Trump has continued to insult him on Twitter as part of an effort to discredit the Russia probe. Strzok, who was removed from the special counsel's Russia investigation over anti-Trump text messages, was fired late Friday by FBI Deputy Director David Bowdich, Strzok's lawyer said on Monday. As of Tuesday morning, a GoFundMe page started by "Friends of Special Agent Peter Strzok" had raised more than $235,000. The money will go to a trust fund "dedicated to covering Pete’s hefty – and growing – legal costs and his lost income," according to the campaign. Nearly 6,000 people had contributed in the first 21 hours. It was not immediately clear who started the campaign, which Strzok shared from a newly created Twitter account. The bio section of Strzok's Twitter page listed "Husband. Father. Proud American. 26-Year FBI and Army Veteran." Peter Strzok, the FBI agent who made anti-Trump texts during the 2016 presidential election, rejected claims of bias affecting his work with the Clinton email probe in a fiery speech to Congress. GOP and Democratic lawmakers added to the tense hearing, frequently arguing over Strzok's testimony. "It has been an honor to serve my country and work with the fine men and women of the FBI," Strzok tweeted. In an accompanying statement, Strzok said that the decision to fire him "produces only one winner - those who seek to harm our country and weaken our democracy." 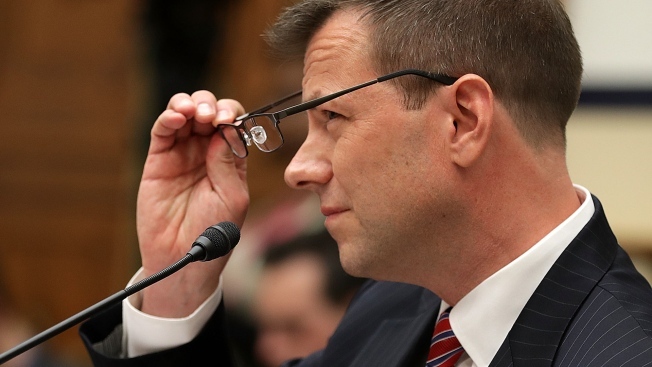 The FBI had been reviewing Strzok's employment after politically charged text messages were discovered last year. Trump and his allies have seized on the texts, saying they show the investigation into possible coordination between the Trump campaign and Russia is tainted by political bias. Strzok's lawyer Aitan Goelman said the 21-year veteran of the FBI was removed because of political pressure and "to punish Special Agent Strzok for political speech protected by the First Amendment." Goelman also said the FBI had overruled the agency's Office of Professional Responsibility, or OPR, which he said had determined that a 60-day suspension and demotion from supervisory duties was "the appropriate punishment." In a statement, the FBI said Strzok was subject to the standard FBI review and disciplinary process and defended the decision to overrule the OPR. "The Deputy Director, as the senior career FBI official, has the delegated authority to review and modify any disciplinary findings and/or penalty as deemed necessary in the best interest of the FBI," the statement said. 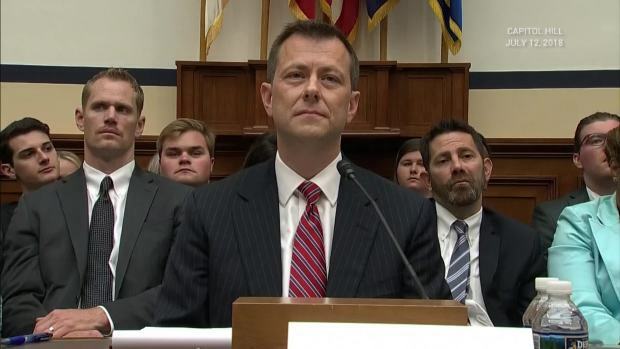 Strzok, who exchanged text messages with FBI lawyer Lisa Page, vigorously defended himself at a combative House hearing in July that spanned 10 hours. Strzok repeatedly insisted the texts, including ones in which he called Trump a "disaster," did not reflect political bias and had not infected his work. 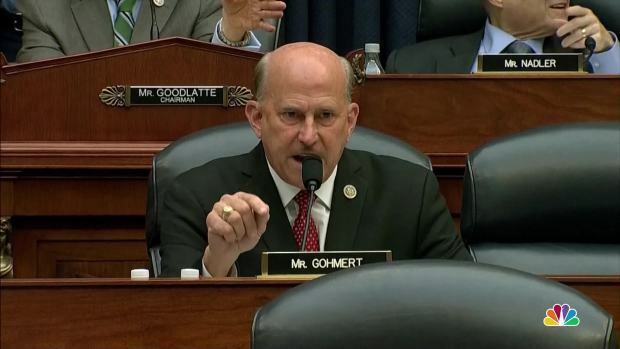 In a heated exchange, U.S. Rep. Louis Gohmert, R-Texas, on Thursday invoked FBI Agent Peter Strzok's marriage. Strzok has admitted to having an extramarital affair with Lisa Page. In another text, Page wrote Strzok in August 2016: "(Trump's) not ever going to become president, right? Right?!" Strzok worked on the early stages of the Russia investigation in 2016 and worked on the special counsel's team for a few months after Robert Mueller was appointed in May 2017. Strzok was also a lead investigator on the probe into Democrat Hillary Clinton's email sever in 2016. An internal Justice Department report issued in June blamed Strzok and Page for creating an appearance of impropriety through their texts but found the outcome of the Clinton investigation was not marred by bias. Clinton was cleared in the probe. Republicans were livid during the July hearing, which several times devolved into a partisan shouting match. Democrats accused Republicans of trying to divert attention from Mueller's investigation and Trump's ties to Russia by focusing on Strzok. Trump, who has repeatedly taken aim at Strzok, said in a tweet Monday that Strzok is one of many "bad players" in the FBI and the Justice Department. 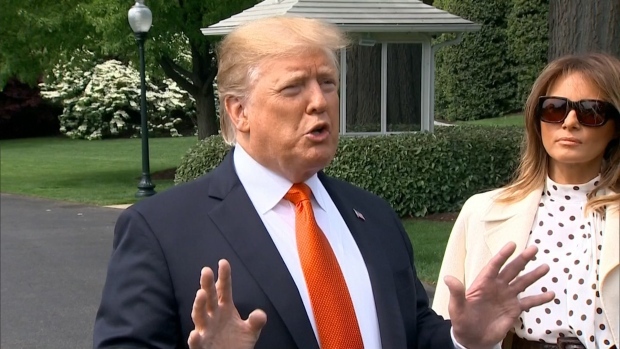 "It is a total Hoax," Trump said of the Russia investigation. "No Collusion, No Obstruction - I just fight back!" There is no indication that the Mueller probe will be dropped, but Trump reiterated his displeasure in another series of tweets on Tuesday. "Strzok started the illegal Rigged Witch Hunt - why isn’t this so-called 'probe' ended immediately? Why aren’t these angry and conflicted Democrats instead looking at Crooked Hillary?" he wrote in one. Another tweet alleged Strzok was "a fraud, as is the rigged investigation he started."